Garage is not just for parking. For most families, it is also a multipurpose storage center for houseware items, garden tools, outdoor sports equipment and workshop crafts. 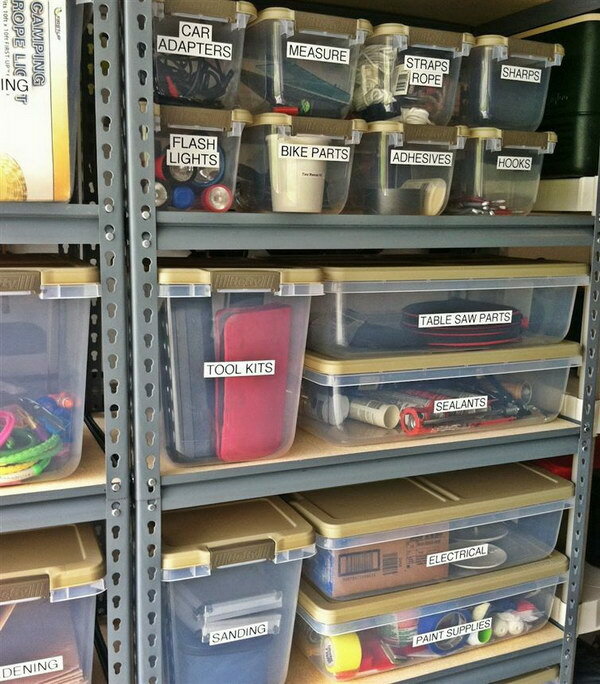 When you can’t find your weed eater, hammer, painting supplies or golf clubs, then you will know how important it is to get your garage organized. 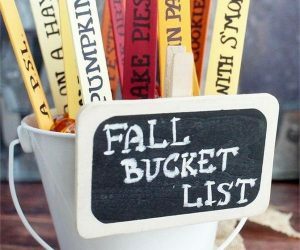 But for many people, cleaning and organizing the garage is never an easy task. It is so dreaded and exhausted. 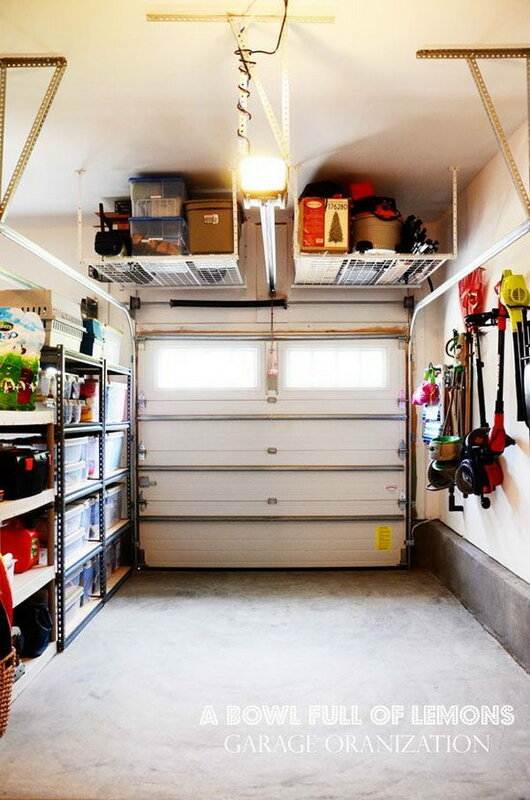 Fortunately, with a few simple storage ideas and clever tips, you can keep your garage clean and organized at ease. Here have found a great collection of different ways to easily and quickly get your garage in good order. 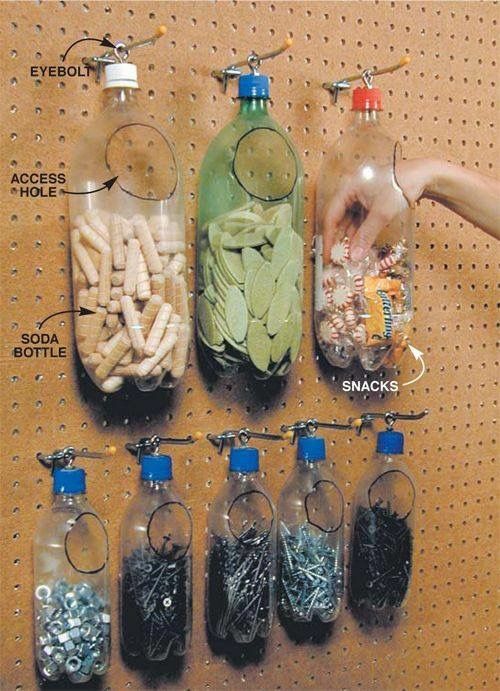 Take a look at these clever storage and organization ideas and make the most use of your garage space and organize your tools, outdoor gear, and whatever else in its way into your garage with these smart garage storage ideas. Don’t throw away those plastic jars. 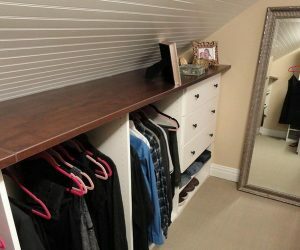 You can screw them into the wooden shelf that sits above the work top for a great storage for nails, screws and other small items in the garage. 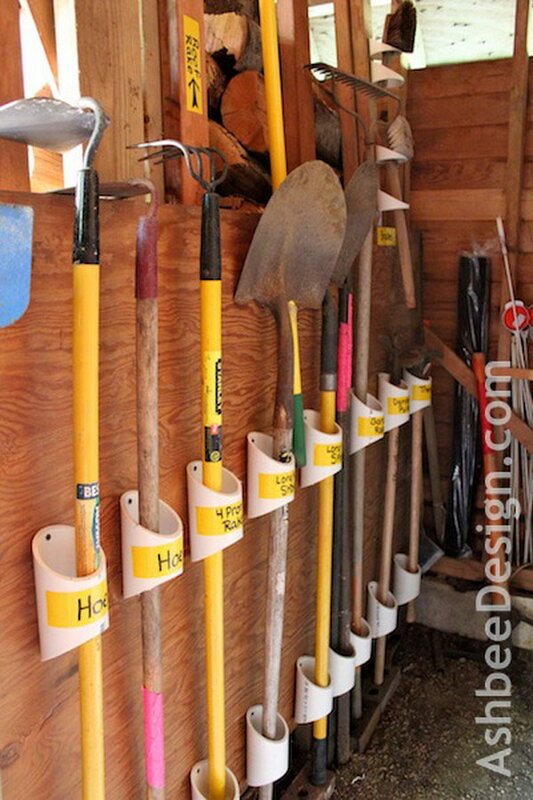 Use PVC pipes to organize your lawn and gardening tools and keep them out of the way in your garage. Via ashbeedesign. 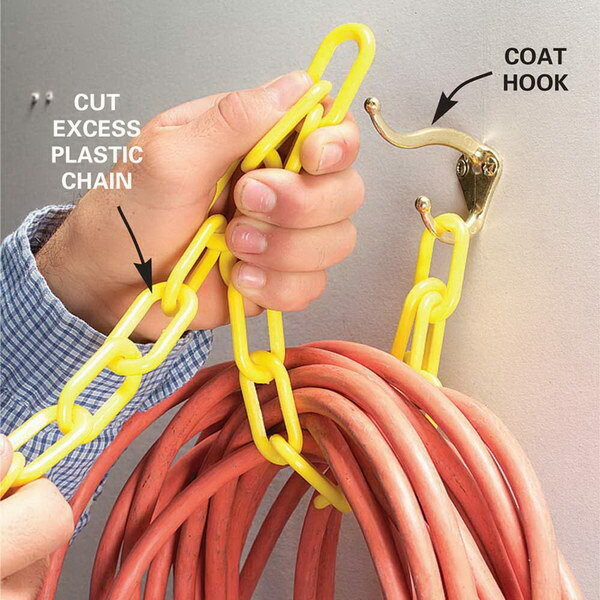 A great way to hang bulky electrical cords with a length of chain and a wall-mounted coat hook. via familyhandyman. 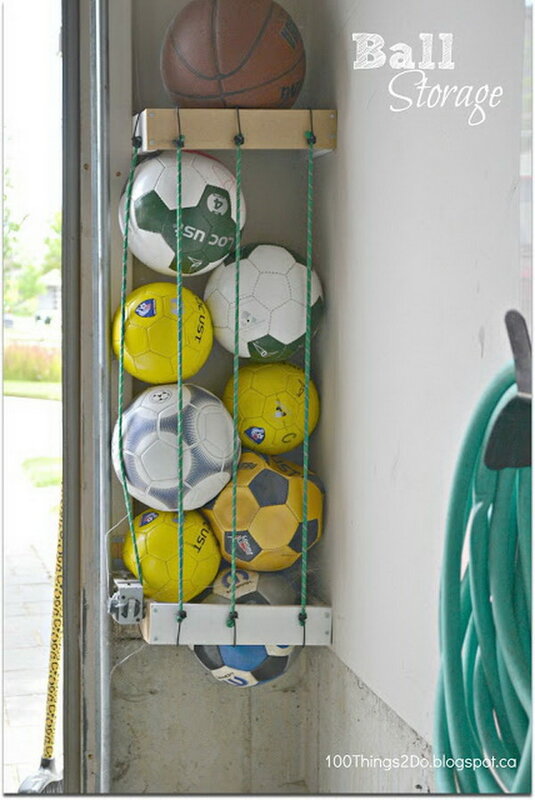 Make a quick and easy ball storage spot like this with some pieces of wood and some ropes. 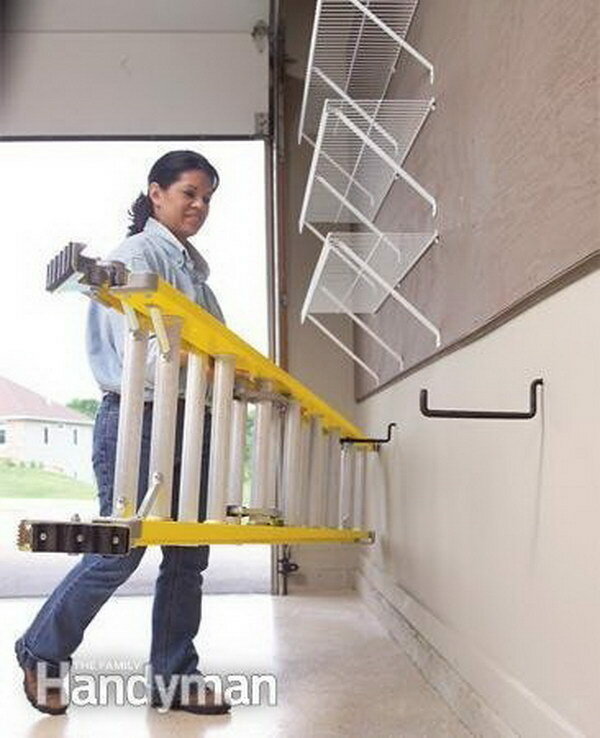 Use large hooks to hang a ladder on the wall in the garage. Instructions via familyhandyman. 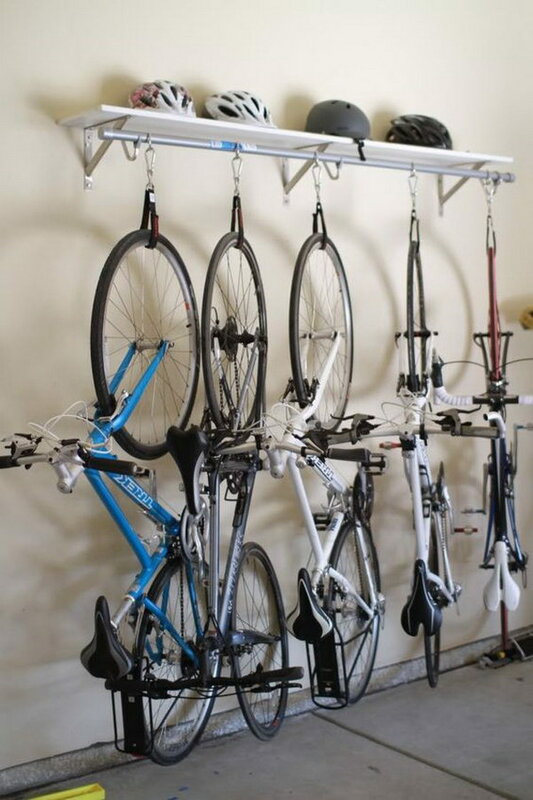 Build your own bike rack and keep the bike out of the way and easy to access. DIY instructions via bikeforums. 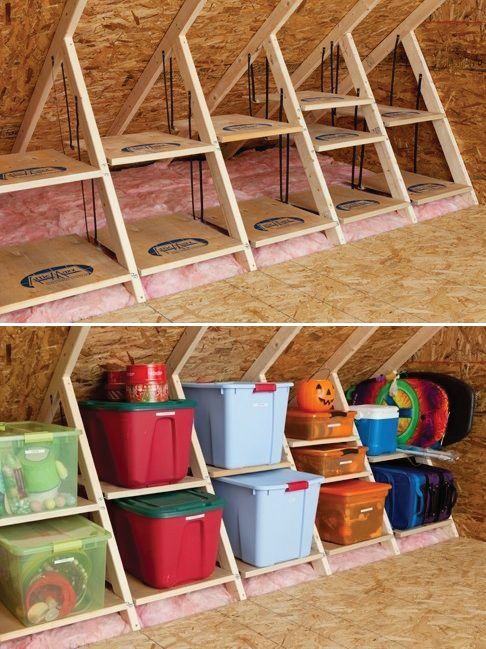 Love this tuck-up-and-away shelving in the garage to keep things off the floor. 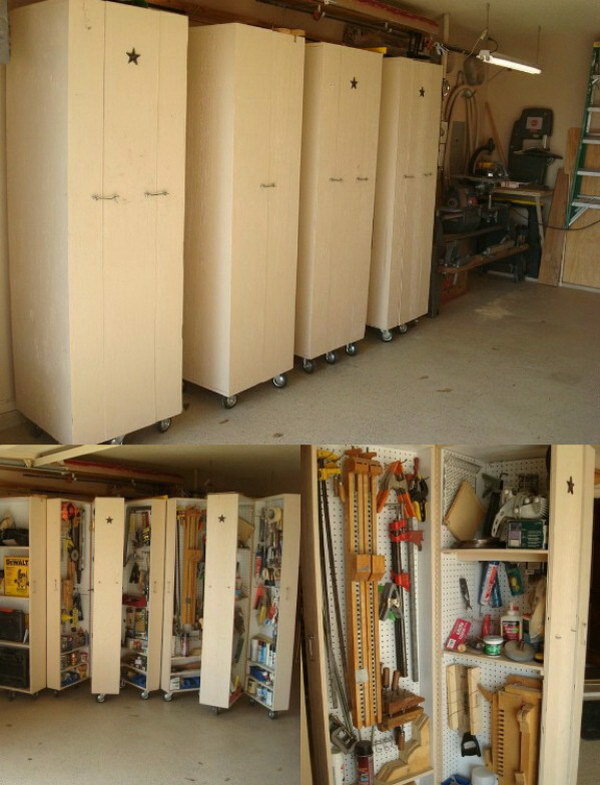 Perfect for seasonal storage or seldom used items in the garage. Details via abowlfulloflemons. 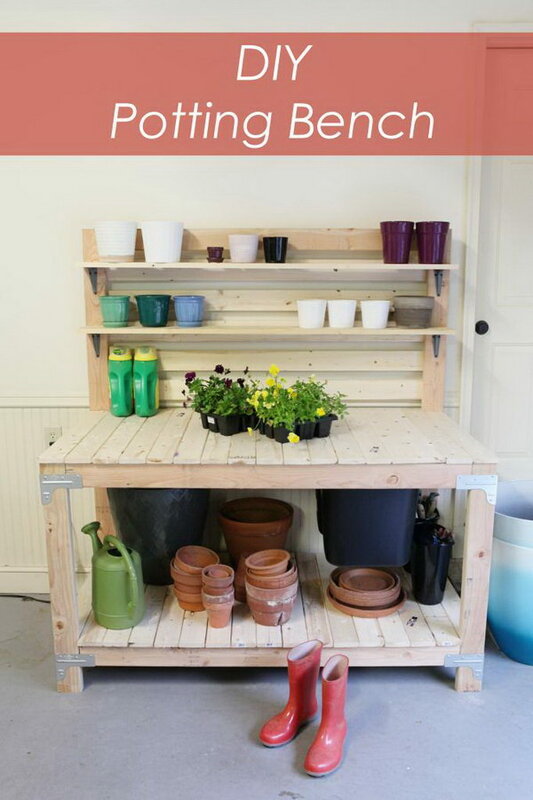 Keep your garden tools and plants organized and separated with a great potting table. 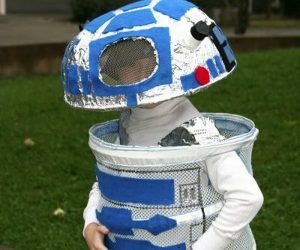 Check out the DIY insttructions via bowerpowerblog. 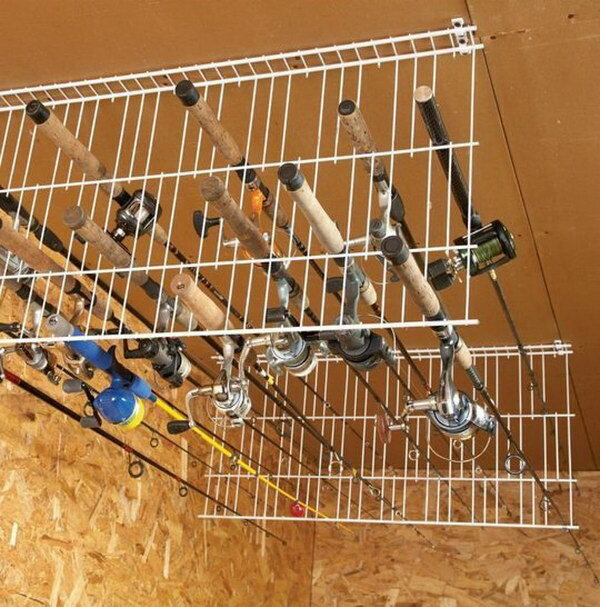 Use wire shelves to organize fishing poles overhead. Save the floor space and easy to access to them. Via community.familyhandyman. 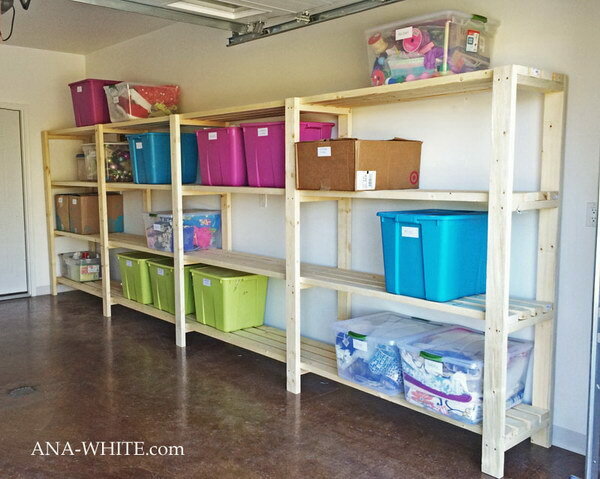 These garage shelves are super easy to make by yourself and create much more storage for your garage space. You just need some wood and brackets. 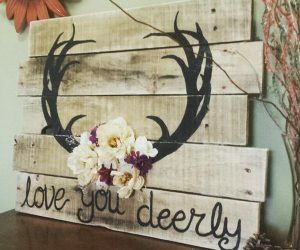 Get DIY instructions via shanty-2-chic. 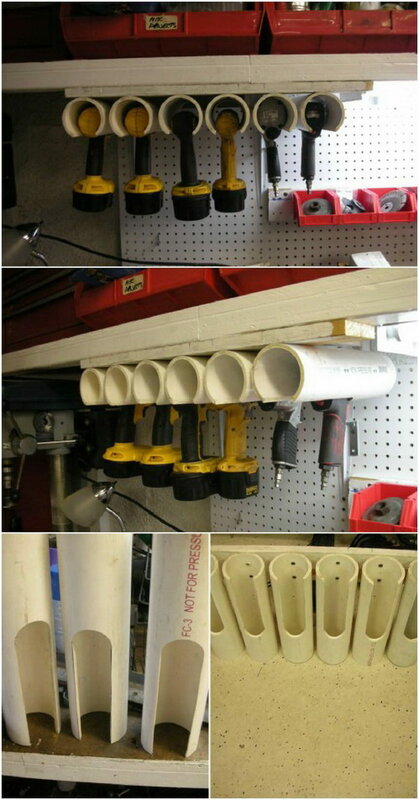 Keep your garage or workroom in order by making these clever holders with PVCpipes so that you can simply slide your tools back in when you’re done with them. 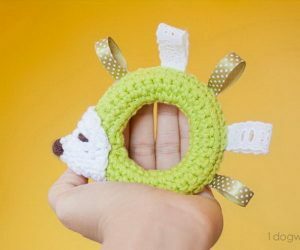 via diyncrafts. 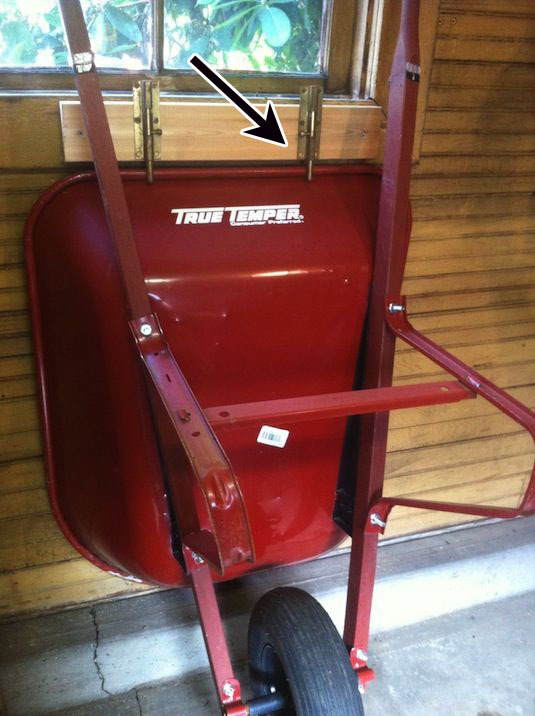 A simple yet functional garage storage idea for yard tools. Keep them up and off the floor with this DIY shove rack. via familyhandyman. 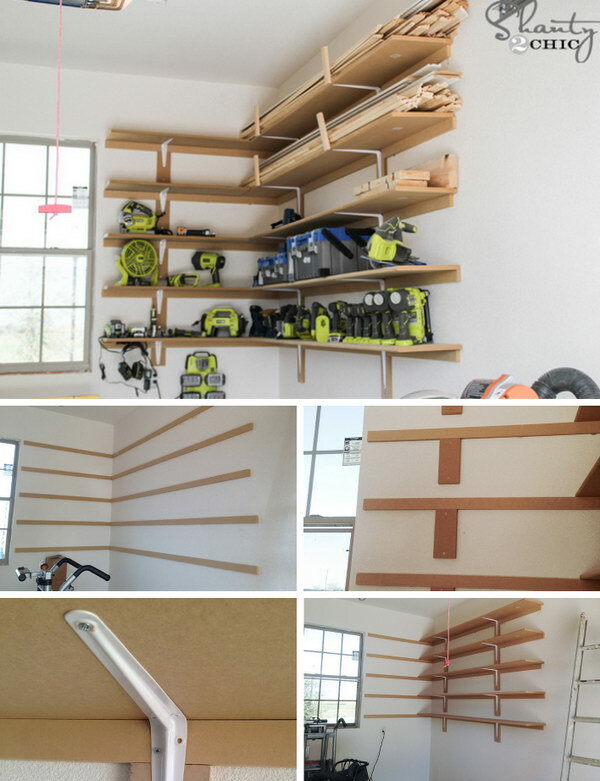 Here is a free plan to build garage shelving using only 2x4s. 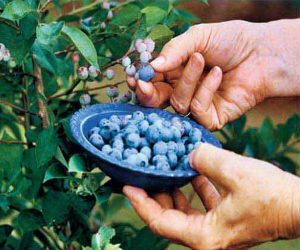 Easy and inexpensive, but sturdy and functional. 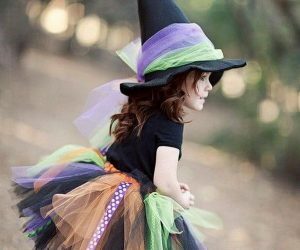 Get the video tutorial via ana-white. 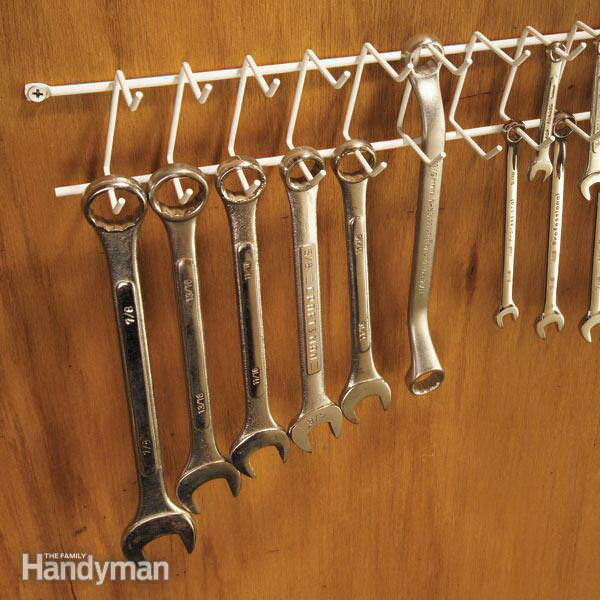 Get your garage organized fast with this easy versatile hangers. DIY instructions via popularwoodworking. 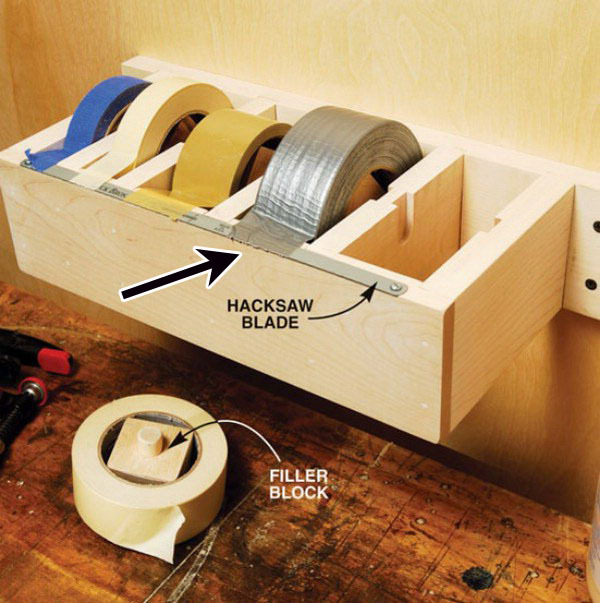 Easily create a wall-mounted dispenser and keeps your tapes perfectly organized. 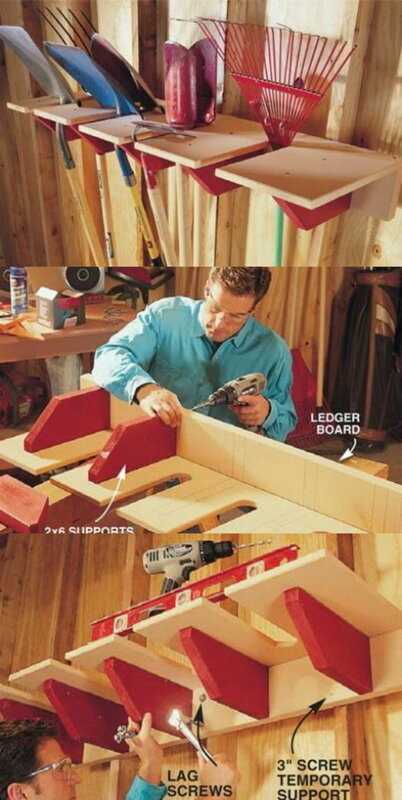 DIY instructions via americanwoodworker. 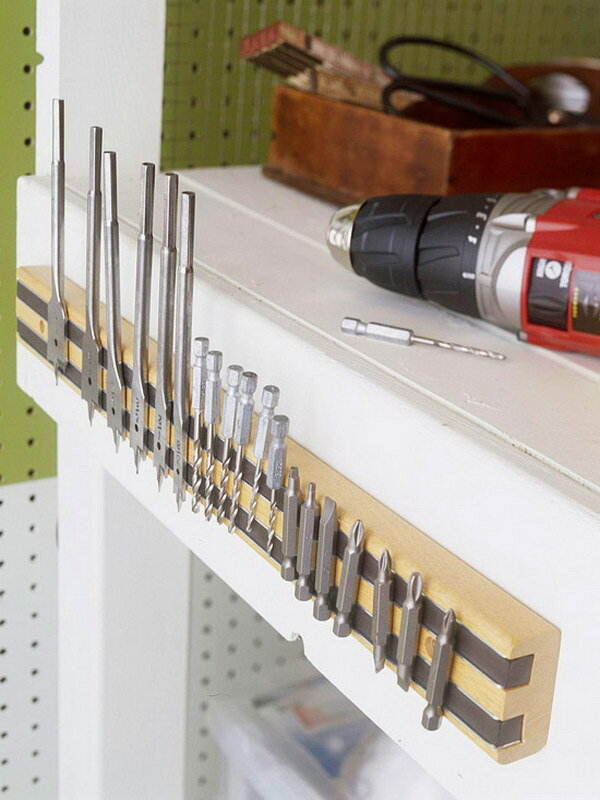 Use some inexpensive magnetic strip to organize drill bits, screws, or other metal objetcs you want within reach. Via bhg. Create these hangers on the wall and get those all important bins off the floor and out of the way! DIY instructions via familyhandyman. Suspend the drawers between the ceiling joists for extra storage out of space! Check out DIY instructions here. Keep your wrenches organized and easy to access with a tie rack from the discount! 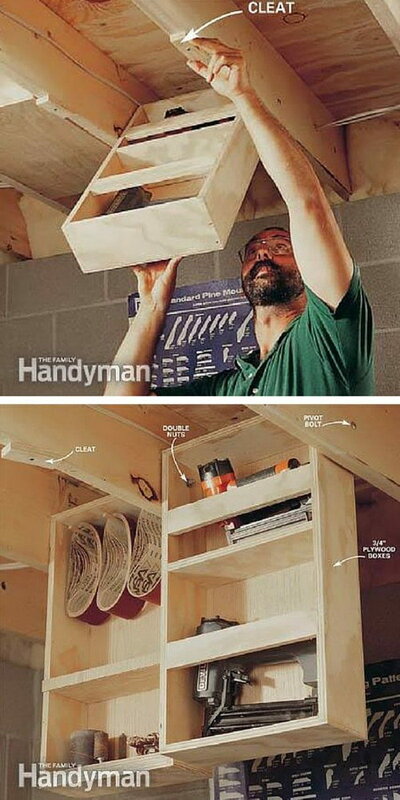 Recycle an old file cabinet to create garage storage space for your brooms, rakes, shovels, and much more! DIY instructions via tttreasure. 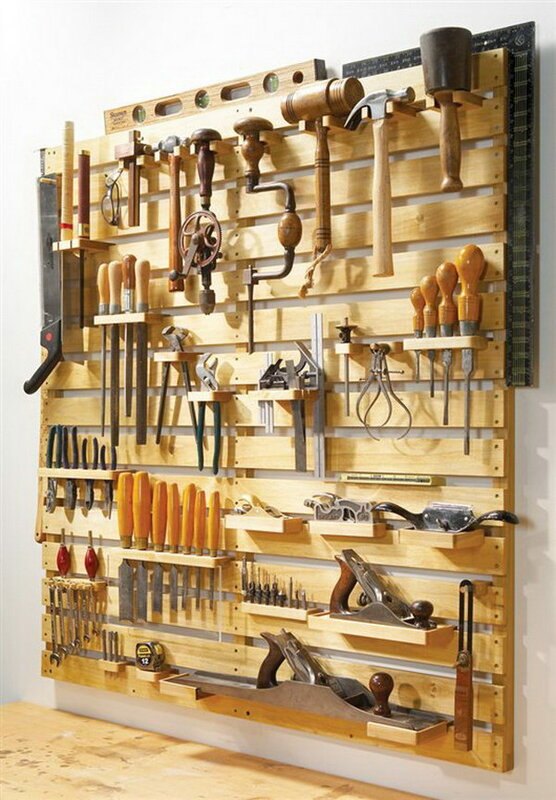 A great way to store those tools and keep things neat and tidy with these rolling cabinets. 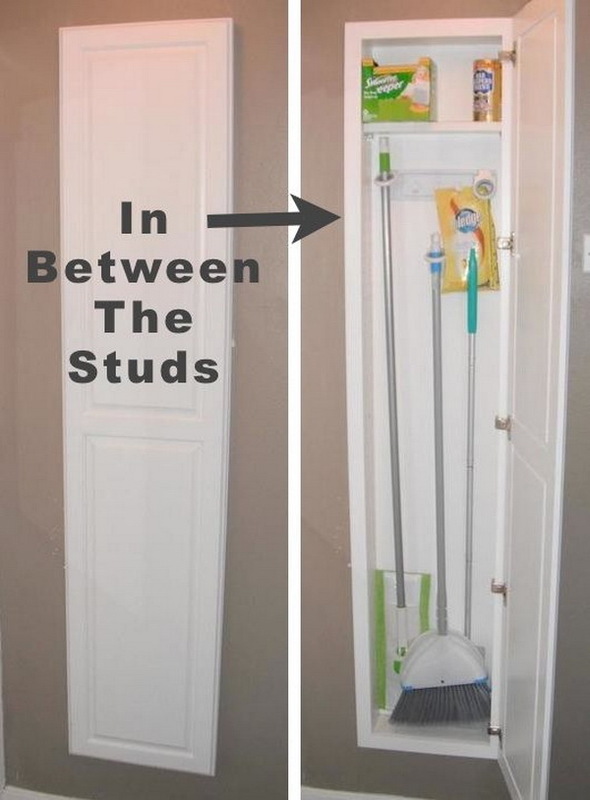 You just roll the cabinet out when you need something and keep it neatly closed when you don’t. DIY instructions via hometalk. Easily folds down! 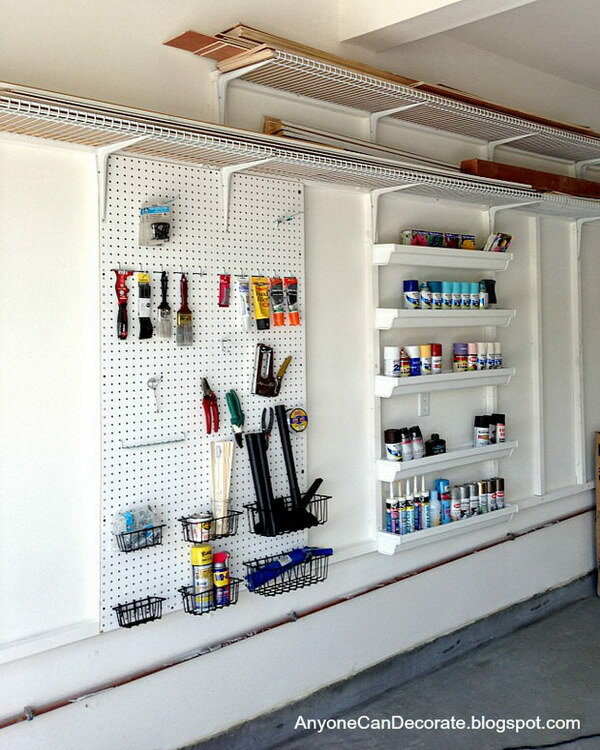 A great way to add a workspace to a garage without a lot of floor space. 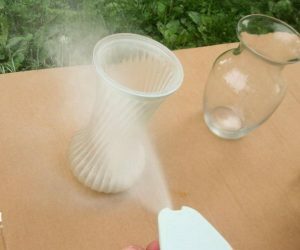 DIY instructions via home-dzine.co. 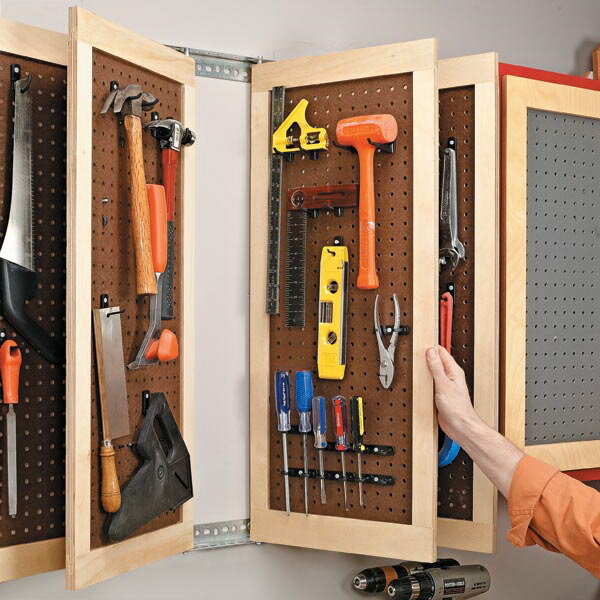 Make this custom garage organizer with pegboard and inexpensive shelving. 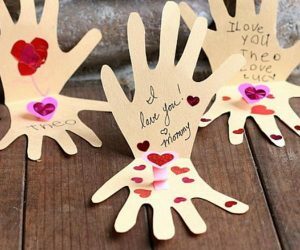 Easy to do with the tutorial via anyonecandecorate. Get some pieces of scrap wood, drill a few holes and cut brackets for mounting. 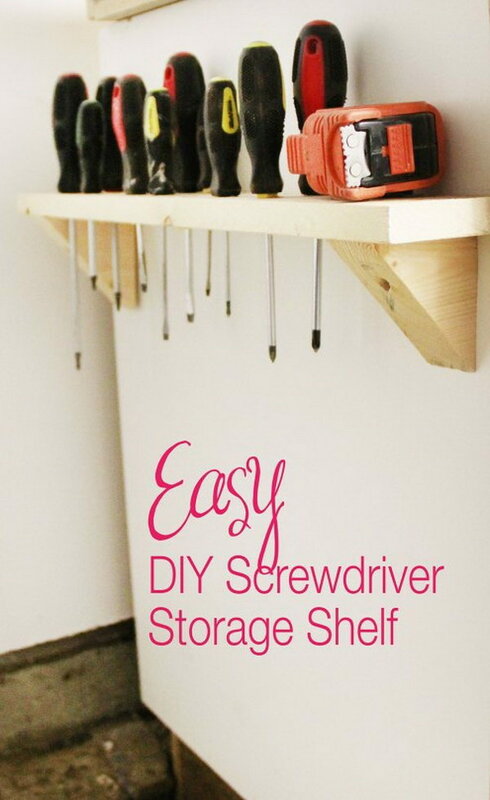 Then you have this creative shelf for tons of your screwdrivers. Get DIY instructions via freshcrush.